Built around 1938 by black businessman and entrepreneur Clifford McCollum, Sr. and his wife, McCollum Hall served as a recreational building within the Dunbar community. 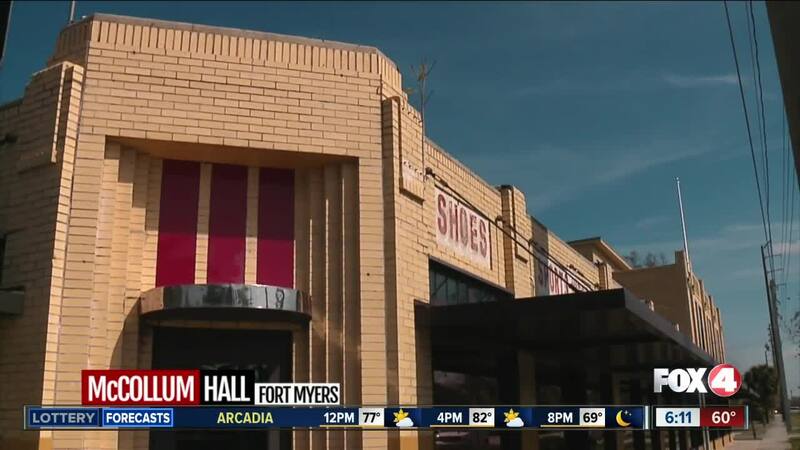 FORT MYERS, Fla. -- Built around 1938 by black businessman and entrepreneur Clifford McCollum, Sr. and his wife, McCollum Hall served as a recreational building within the Dunbar community. And the hall has hosted some big names in the entertainment industry, like Duke Ellington, Louis Armstrong, and B.B. King. McCollum Hall is a local historic landmark that will be cherished for years to come. The hall is located at 2701 Dr. Martin Luther King, Jr. Boulevard.